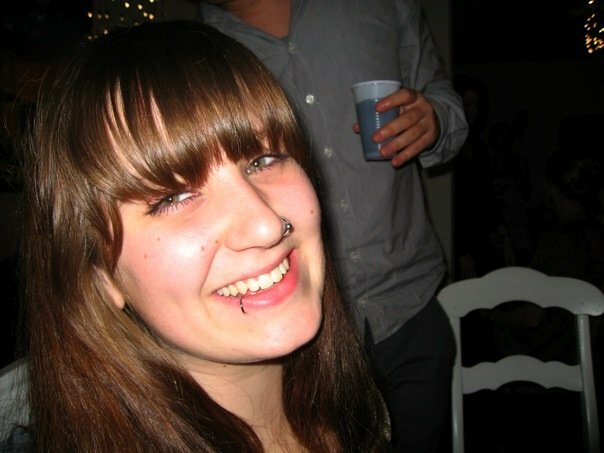 My name is Maja Hviid, I'm 23 years old and I study musicology. The reason why I chose this subject was because it has a perfect link to some of my other subjects at musicology - and I thought it would be great to have some more background knowledge + it's fun to speak english again. Not only do I study music, I also practise it. I'm the singer of an Århus band called White Wood Joe and besides that I give singing lessons. Looking forward to getting to know you guys! Catagories: Everyday mapping and Artistic mapping. A mis-guide to Århus City. 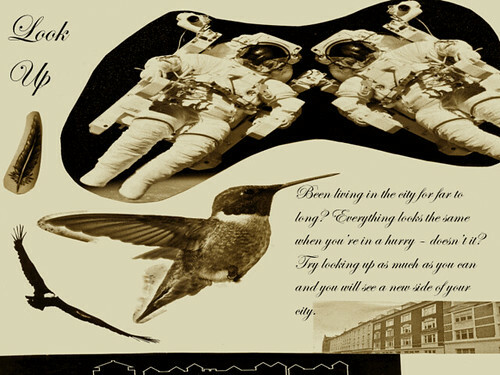 My mis-guide is for people how have lived in Århus for a long time, even alle their lives, it is called: "Look up". The idea is to stop looking at the ground when you walk from place to place, because you know where you are heading and probably are in a hurry to get there. But instead look up, and you will discover a part of the city you have never noticed before. The idea came to me when I found myself just looking at the ground, so now everytime I go for a walk in the city, I remember sometimes to look up. Answers to the quesitions posted in class the 27th of April. 1) The most memorable experience was when I had to do the audiowalk alone at night in Århus. It felt a bit silly doing it alone, however, it left me with a calm feeling afterwards, and was very rewarding. 2) The text I liked the most was the text by Murray Schafer "The Music of the Environment", because I found the layers of sounds in the environment and the thought of clearing your mind of the low-fi sounds interesting. After I had studied the text I started to notice the different sounds in Århus, and suddenly heard sounds I didn't know where there. 3) The texts and theory about hybrid spaces was the ones I've learned most from reading. 4) I liked the flash-mobs performances the most, because they interfere with the rules of how you act in public, and also just because the performance gave everyone a smile on their face. Assignment #1:Creating a wiki-page, and writing a bit about our selves and uploading of a picture. I loved the idea of putting the theories into action, so to say. It makes the theories more significant and helps the understanding of them as well. I probably like assignment #5 the most, because we had to do it in a group, and we had a lot of fun creating the dot-walk. 6) The dot-walk and when we drew our way from our home to the university in the snow, was the ones I found most relevant, because of the discovery of how we see Århus City and how other people see it.